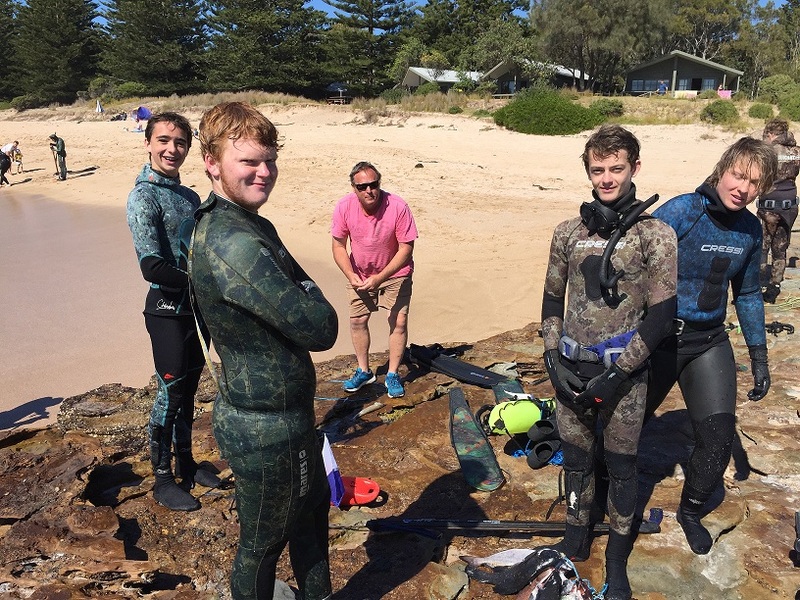 To go with the safety concept of conducting a pairs event we thought we would include a safety day on the Friday, surprisingly the keen participants attending had next to no real spearfishing experience and certified freediving instructors Simon Horvarth and Al Cooke had a great time of going back to basics for the absolute beginner snorkeler. The USFA promotes a mantra to its many members nation-wide of “safe, sustainable and selective” How do we promote this event to the public and our own peers, especially considering so many out there shout down “spearing fish for points”, let alone this event had cash prizes that were ridiculously good ($400 for the largest Bream for example thank you to all the local businesses – see listed in the results spreadsheet, the Juniors all received shirts and $150 gift bags from the generous sponsorship of Compleat Angler and Australian Underwater Products). 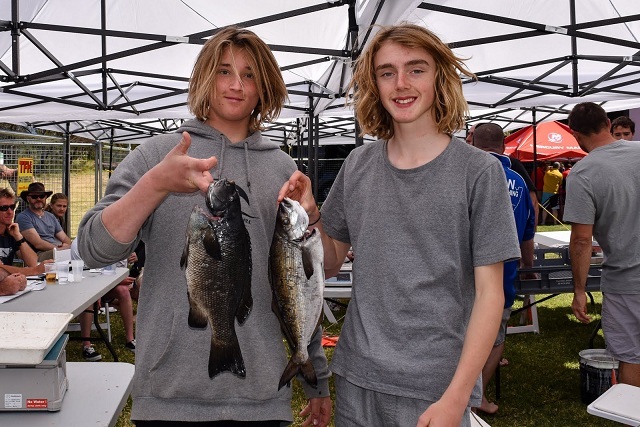 An opportunity was created for family pairs for example father/son and grommets under 16 were encouraged to fish with many adept spearfishers made available to partner the younger generation. I really enjoyed seeing these combinations diving together, the Father Son teams of Roger and Ben Gordon, Joe and Sam Martindale, Paul and Marcus Dorfsatter, Guy and Albin Thornycroft (pictured). The event also had pairings of all ages such as 73 years young Pat Mullins with 22-year-old Christian Lovett was a formidable partnership. Georgia swimming in towing the substantial plat (boat float) and then assisting with carrying the catch up to the sign off area, Oly merely smiling knowing what I was thinking “I’m training Georgia for the Australian team, 3k run and a 5k swim towing the plat, good for her…” The young lady went on to be the Ladies Champion, Georgia is an outstanding talent. 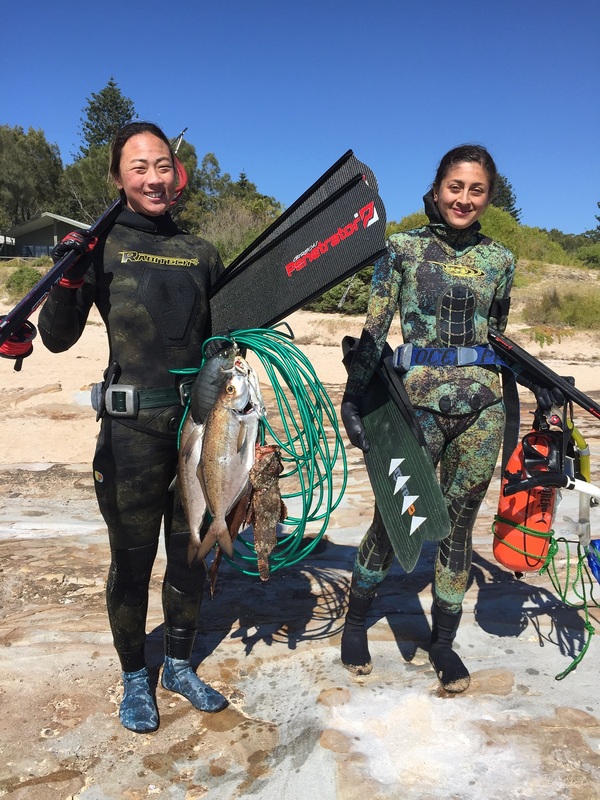 Two other ladies’ pairs fished the event, locals Kate Rogers and Irene Donoghue and Central Coast girls Tahlia Fortes and Kiani Plain, all presented great fish to the weighmaster. 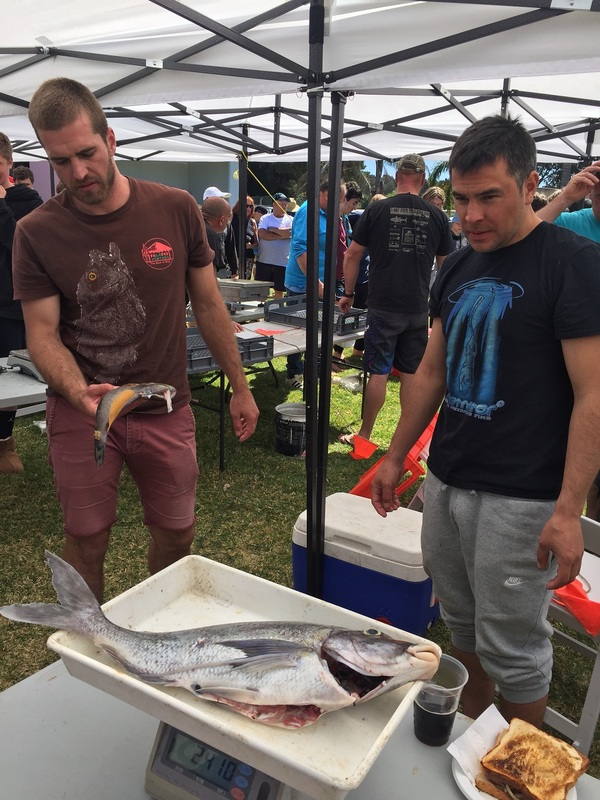 Another concept we brought in for this event, I think a first for NSW weigh-ins at least, all fish had to be presented to the weighmaster completely gutted and gilled, and we kept the same minimum weight that being the 450gm for most of the fish, 675gm for Morwong, 750gm for Flathead and 1kg for Rock Blackfish. 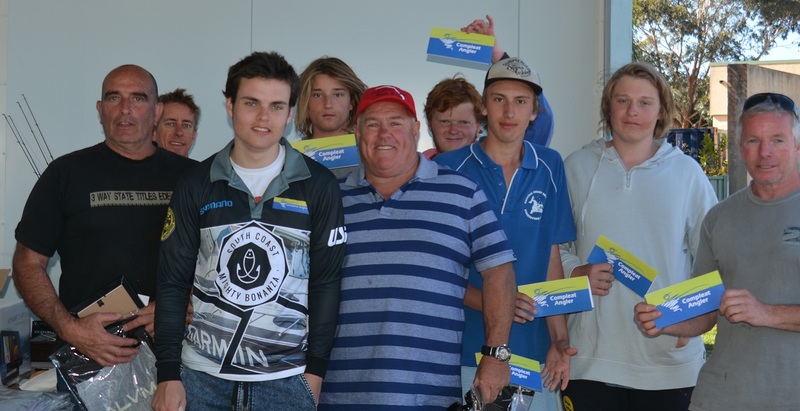 The Friday night meet and greet at the Tomakin Sports Club was fun, the reach this tournament had was amazing, the Dorfstatter’s (left) from Victoria came up for the weekend, we had plenty of Central Coast Sealions, three of the Sydney clubs were well represented, and a contingent of ACT spearos were keen to fish the weekend, another 3-way event in the making perhaps? Diving in the pairs format was the first time for the majority of entrants, like the Lachlan’s from ACT, and the make-up of the event was super casual and very friendly, though Australian and NZ champions and national representatives like Paul Roso, Zappo Falzon, Derrick Cruz and Evan Leeson ensured there was plenty of good natured ribbing going on amongst their old comrades, when Peter “Scuba Pete” Walsh had decided it was time to get his wetsuit on he found he was a sitting duck from these lads. Stan Daly spearfished the Northern beaches of Sydney in the late 1940's and early '50s. While the committee were having a quiet drink before the meet and greet we were treated to a fantastic account of early spearfishing in Sydney when an old digger by the name of Stan Daly approached us (pictured standing), he spearfished the Northern beaches of Sydney in the late 1940's and early '50s. Stan's memories of his adventures with a handful of companions crazy enough to venture into the ocean like him were entertaining and thought provoking. Touching us that here in a south coast town we had the great fortune to see an early member of our tribe, a pioneer in fact, reach out to us and pass on his experiences, we felt blessed to have experienced this. Stan has been invited to the USFA's 70th Anniversary next year and we look forward to meeting with him again. 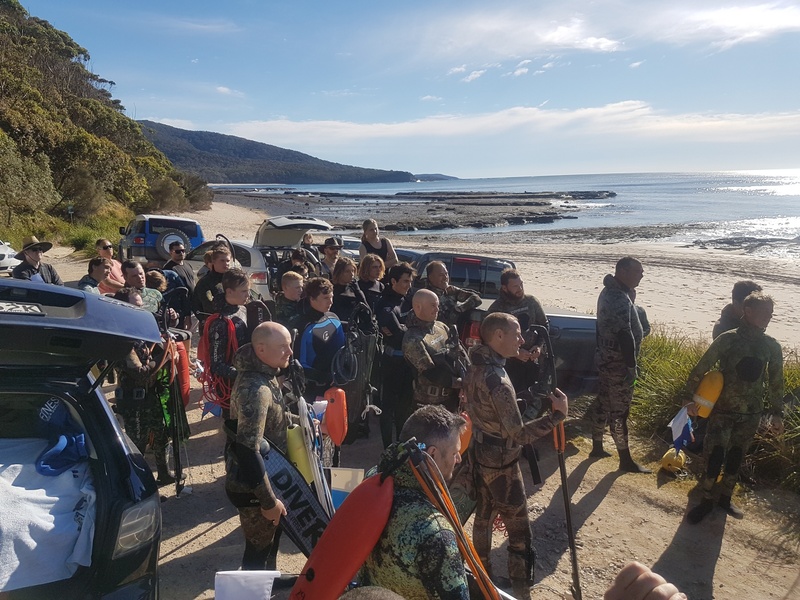 The Saturday saw everyone keen to swim at the wonderful location that is Depot Beach, a nice swell on the bommie made it easier to find for those that wished for the swim out there, however most divers headed south for the Island and dived the gutters that run parallel to it. Surprisingly with over 30 paired divers in the water I only had to hurl a friendly “hello what do you think you are doing?! 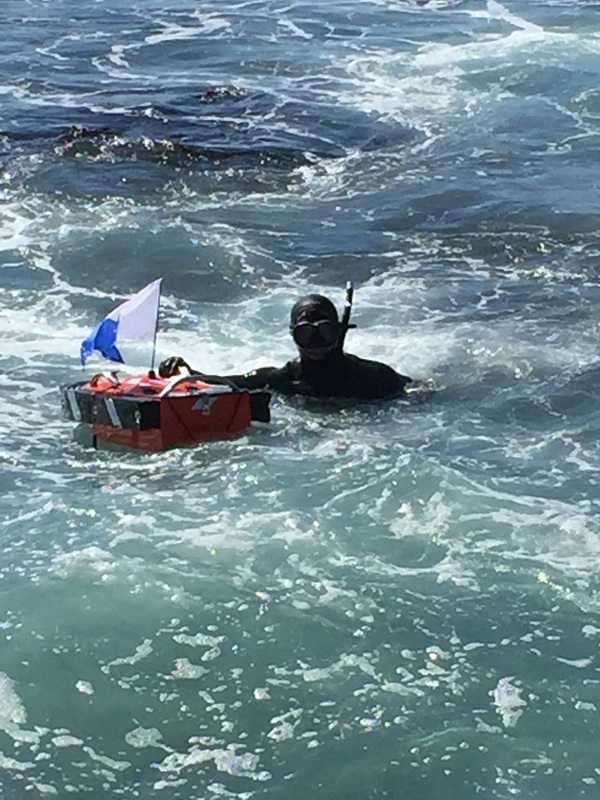 ?” once the whole 5 hours duration, barely seeing anyone until the swim home such was the amount of good territory in the area. Sightings of a Thresher Shark were confirmed to be a 7 Gill Shark, a rare sighting up this way for spearfishers, the 7 Gill seemingly curious as pairs sighted it in many locations throughout the event. 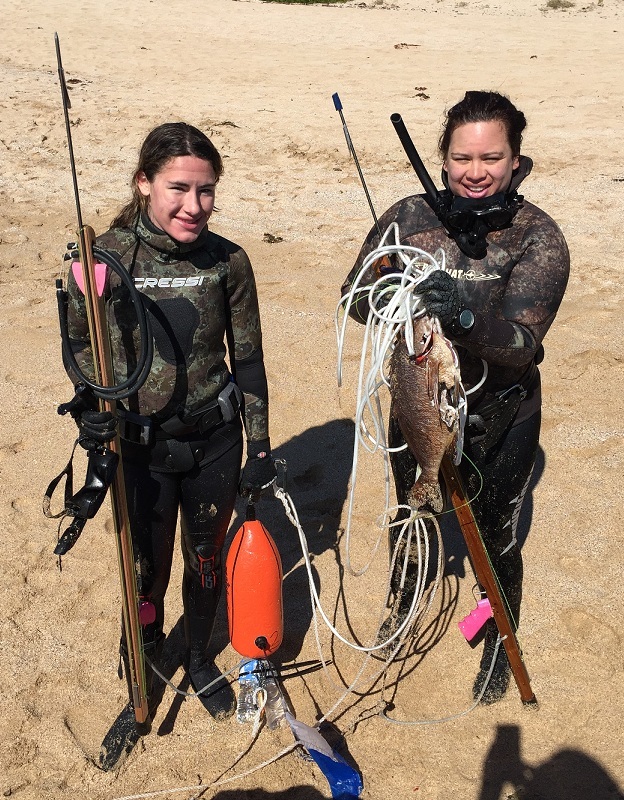 Viso was great at over 10m, water temp a coolish 16 degrees, the expected late morning swell didn’t arrive until late afternoon after we were all dry and packed up, and, there were some nice fish about. 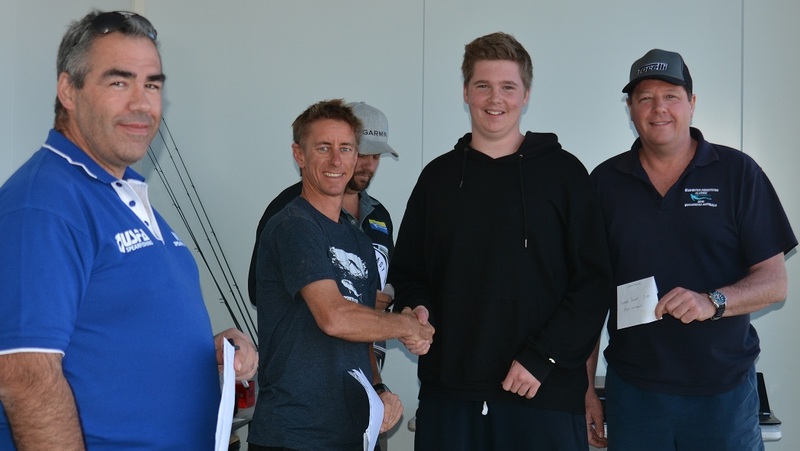 The top pairs had between 6 -10 species on the day and only 200 odd grams between two teams saw some good jousting around the weigh in and again at the sign on the next day. 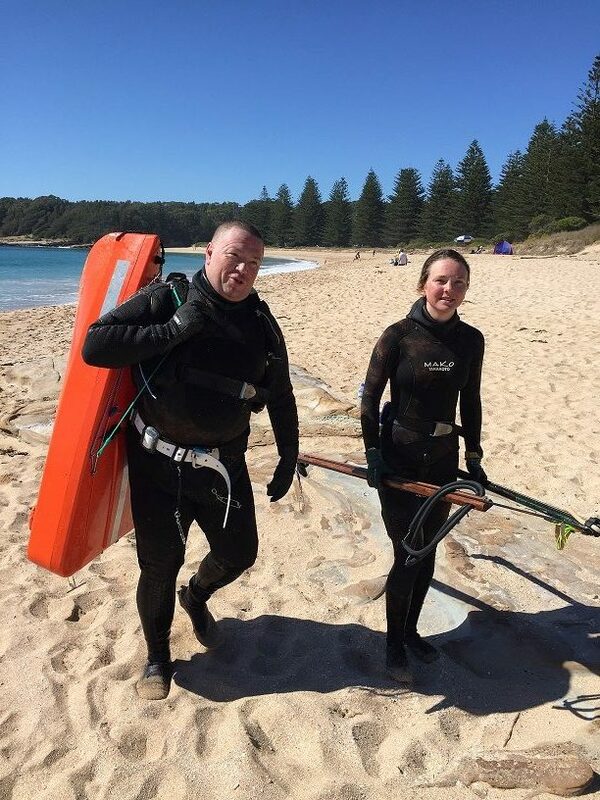 Sunday saw the dive held at the picturesque South Durras Beach, a lovely location and a great area to fish to get out of the way of a stiff southerly breeze. 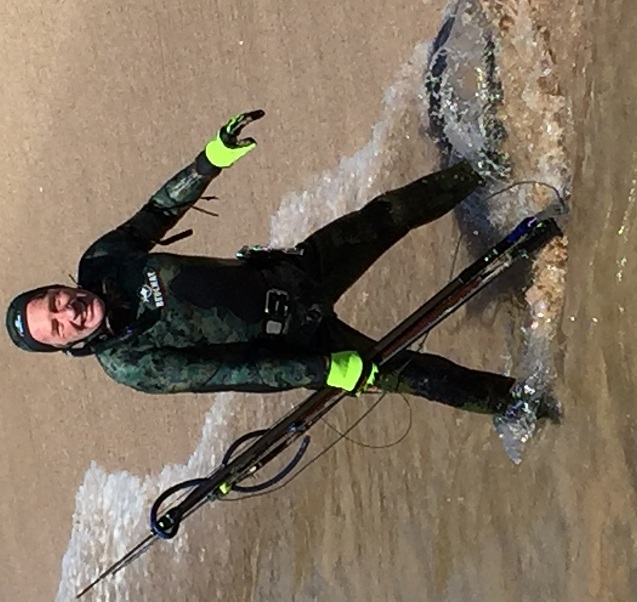 When I arrived, everyone was suited up and ready to dive, I couldn’t believe it as I was fearing the worst weather wise, my sacrifice to the shaman the evening before must have worked! 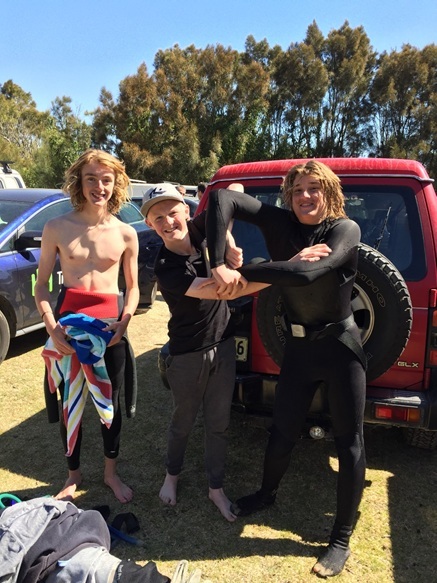 I noticed a few juniors shivering from cold, before the start, and on inspection I could see they had squelched into wet and sandy wetties, not bothering to wash and dry them out the day before, ahh, the youth of today ha-ha. 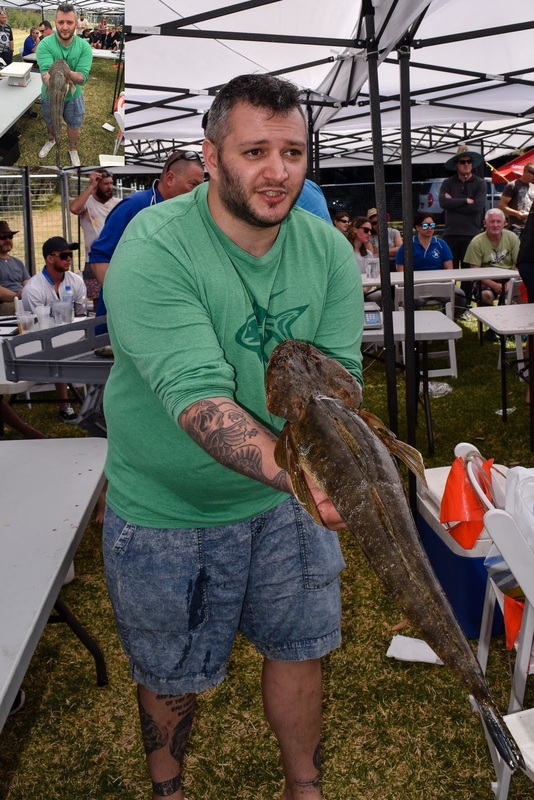 Adam Giatris and his buddy James came back early, Adam asks for a snorkel as he lost his in the surf, once re-kitted they both saunter off in another direction and they come back with the only flathead weighed in for the comp, a lovely Dusky just tipping one and a half kilos, bingo! 400 clams for that pair. Everyone was back early and depending on who you spoke to it was either terrible or surprisingly good. 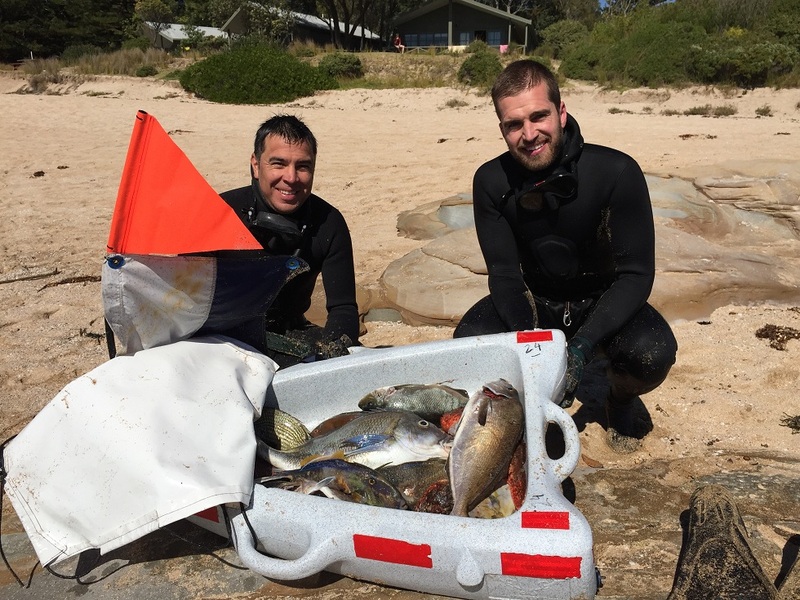 Today 6-7 species was really good, although one pair had an expectional 10 species for the day including a cracking Blue Morwong of 2.4kg - Katchiinnng! 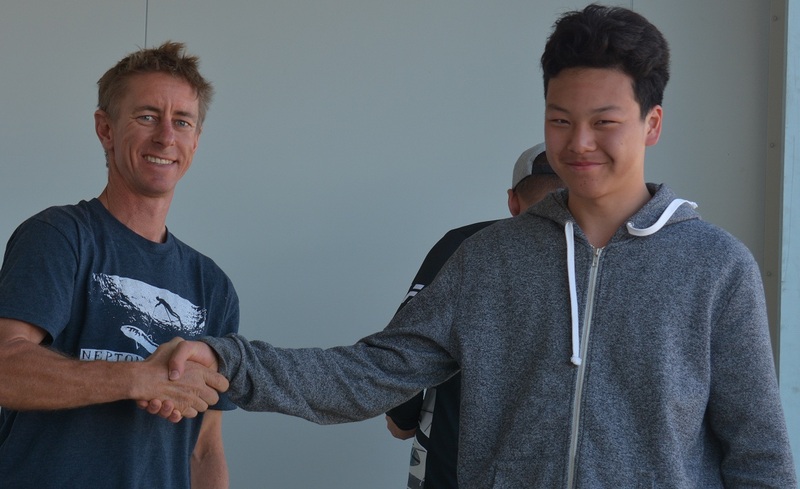 The weigh in progressed along nicely and the 100pts a fish and 10pts a kilo was great, and very easy to work with for results. Congratulations to the NSW Pairs Champions. 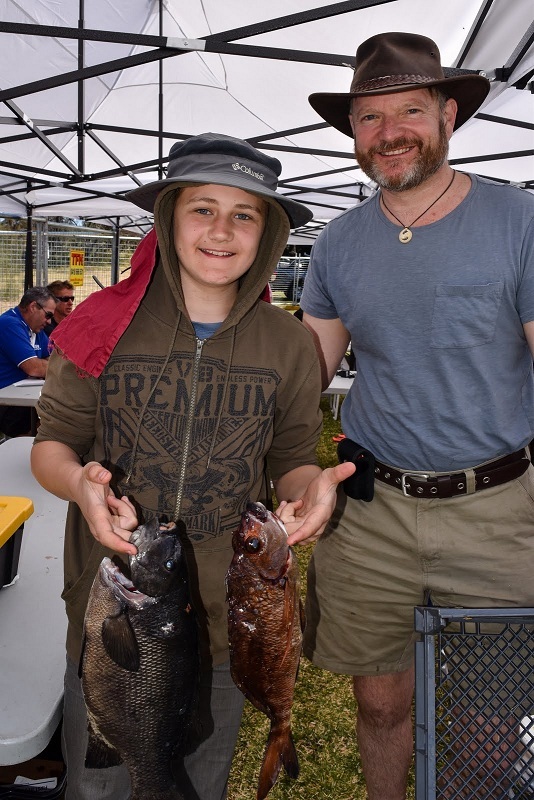 The Bonanza could not happen without the generous support of the sponsors, in particular Compleat Angler in Batemans Bay and Australian Underwater Products, our thanks go to them (a complete list of sponsors is on the SCMB website, including Salvimar, Ocean Hunter, Rob Allen & DiveR). Compleat Angler seem to be stocking a more comprehensive range of spearfishing equipment throughout their stores, please consider supporting our sponsors. 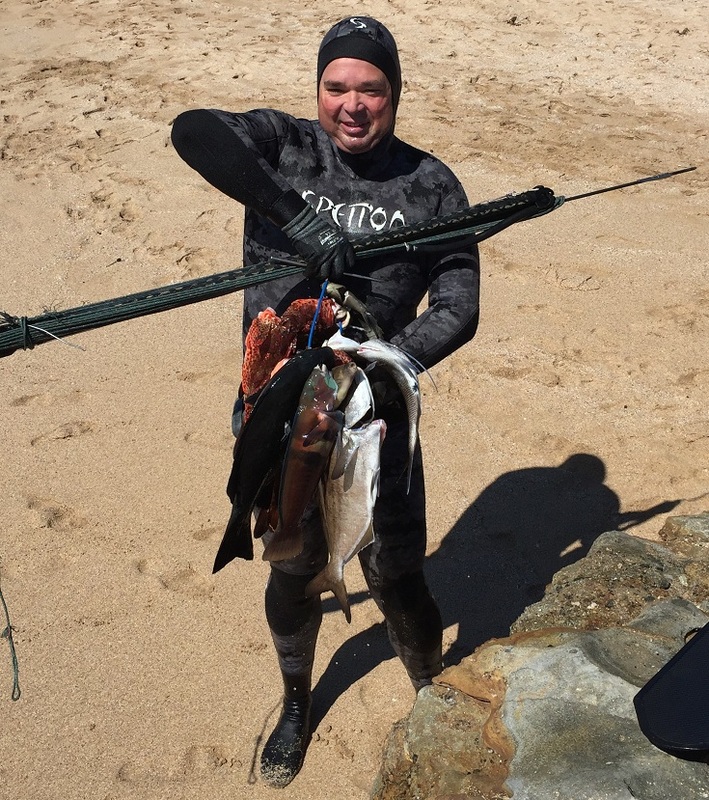 The Bonanza I believe was success, it saw a wide range of spearfishers and line fisherman from around the country attend, lots of goodwill amongst everyone, the Tomakin Spearfishing Club has been inundated with enquiries, safe diving has been further encouraged, the concept of Pairs was extremely well received and the main thing, I believe everyone went away from the event with a big smile. 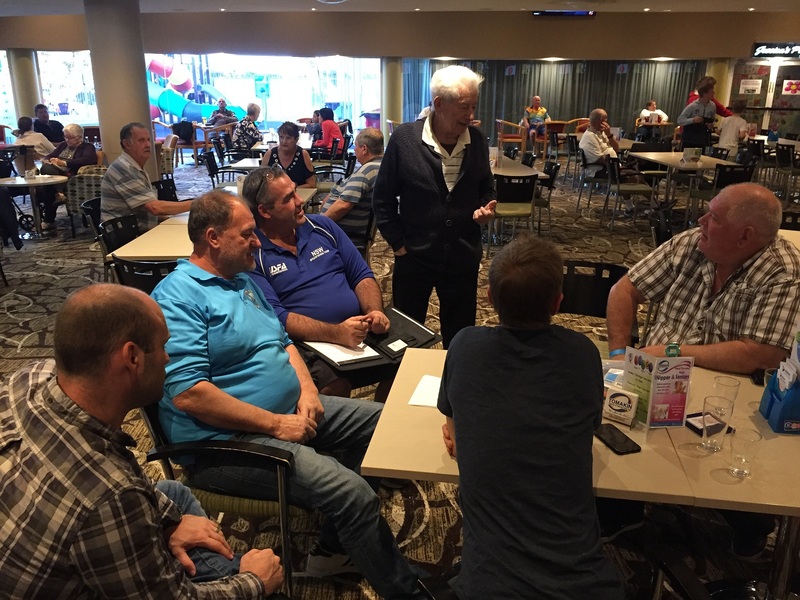 The co-ordinators of the Pairs event have taken away a lot from the inaugural running and will further improve and enhance the concept after listening to competitors’ feedback. Until next year! Next year we see the event being held in April, the 13-14-15th, again based at Tomakin, a perfect time of year for larger pelagic species. 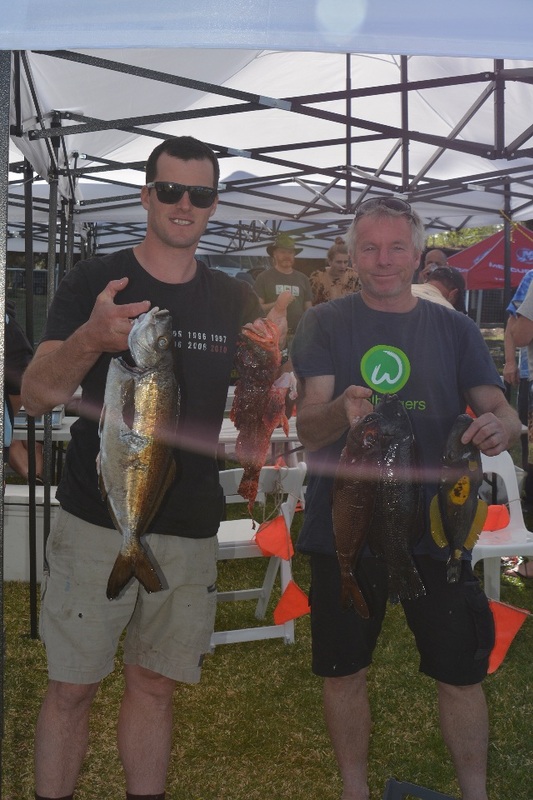 The Pairs itself could be a one-day event, the other two days perhaps one being a “Largest Cray, Snapper and Kingfish” event, the remaining day perhaps a boat event. Listening to feedback from participants and other interested parties will decide this, stay tuned.